These Common Core reading logs have endless possibilities in the classroom! Each of the 45 reading logs contains simple directions with picture cues to help students practice and apply comprehension strategies to their independent reading. 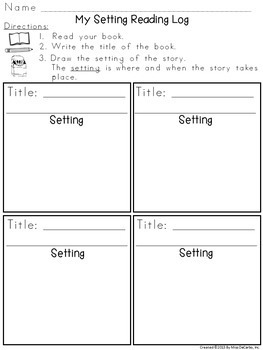 Most of the reading logs contain a page for drawing and a template for writing, which allows you to choose and differentiate the reading log that best meets each student's needs. Reading logs for both literature and informational text are included. 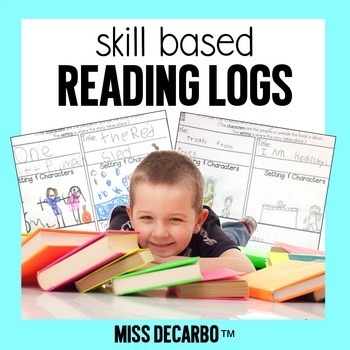 These kid-friendly reading logs can be used throughout the whole year as you review and teach different strategies to your students. Use the logs as homework for take-home readers, whole group practice, assessment, or coordinate them with your mini-lessons. Students could also complete a box after they read their guided reading book with you to apply their understanding independently. Change the skill sheet/log to a new strategy after your students have had time to practice and apply their skills to their independent reading. Great for reinforcement! I currently use the logs as homework to go with my students’ nightly reading. They complete one box every night (Monday-Thursday) and turn the log in on Fridays. As we learn new comprehension strategies, the logs change in their focus. There are MANY ways of using this pack! You can read about how I use these reading logs in my own classroom by clicking here to learn more about my reading logs on my website! 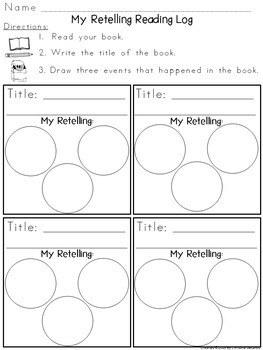 Download the preview file to read a list of ways to use these reading logs in the classroom. There are so many options! Also included in the preview download are two freebie versions of a reading log so that you can try it out with your students! These logs are perfect for first grade and second grade. 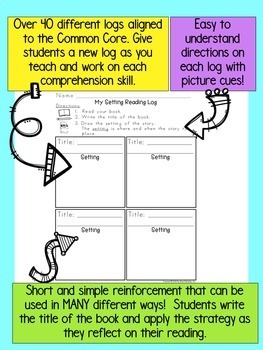 Third-grade teachers will find these logs perfect for a simple, quick reinforcement of a wide variety of comprehension strategies. The logs are aligned to first through third grade CCSS. These standards would align to 4th grade as well and could be used for 4th-grade intervention students who need a simple, more condensed assignment. I hope you enjoy these Common Core Reading Logs!